It’s Wednesday again, and I have my guest blogger, Dougal from McFuzzlebutt’s Manchen (Man Kitchen), to share his recipe. However, from now on, Dougal will not be contributing frequently as he finally found, on his facebook, this “Recipe” Tab app which can store documents and hence Dougal needs to spend more time concentrating on his recipe development. I think this is a great idea to share the recipes with readers and the fact that people can download the recipe will help them when practicing. I may consider having one of this on my FB page as well in future. 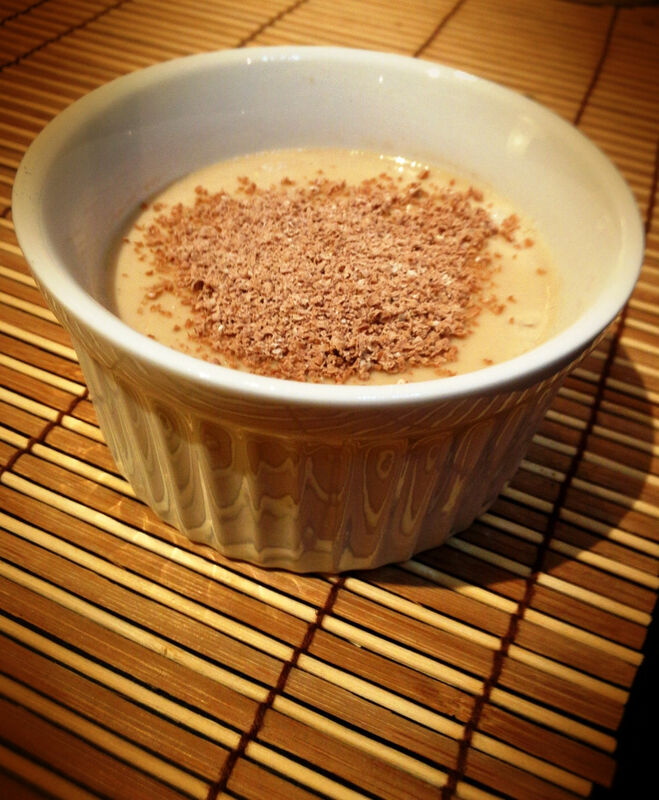 Anyway, the recipe today is Toffee Tea & Almond Milk Panna Cotta, The recipe was nominated in the Food Bloggers Australia Best Original Recipe Competition for 2013. I came across this Man Kitchen’s facebook a while ago. Gosh! He’s crazy with all the meals he created! Such a good cook. Yep, Dougal is pretty serious with his food and recipe and in fact he did very well in developing them. Very professional! Yes, this is a foodie! When we see something even by name, we get excited. LOL. Cheers Fae! G’day Xin! I have never made panna cotta before, but Dougal’s recipe might inspire me to do! Thank you! Most welcome! If you make it, let me know, waiting to see your version Joanne! Just by looking at its name, I can’t resist!